My children and I just returned from seeing the newest submission from Walt Disney Animation, Big Hero 6! And, I must say I was pleasantly surprised at how entertaining this movie was for kids and adults alike. We attended a 10am showing and found the theater to be nearly full of families. And, as I know this is opening weekend, I will attempt to keep this entry spoiler free. First, there is the short that begins the time in the theater, “Feast”. A cute, somewhat whimsical look at the progression of life through the eyes of a pet. A pet who is especially interested in what lands in his bowl, or in some cases on the floor, for him to eat. There is, however, a tender transition that makes you think that animals can truly read the humans caring for them. This is then followed by more transition in the home. The artistry is very good, and the story is told brilliantly without the use of a single spoken word. “Big Hero 6” has a really solid story line and characters to support that story! The animation is top-notch and the music adds a nice layer to the intensity of the scenes. You are moved along in the story at an excellent pace and there aren’t any portions of the film that seem to drag. Just when you think things are going to slow down for a bit, the pace picks up again, and you are off on a different part of the adventure! The main characters are a bunch of nerdy geniuses who find themselves drawn together for a common goal. Hiro, the lead character of this movie, is also the lead of the group. His actions and reactions drive the story along the sometimes rocky thought processes of, as Baymax says, puberty! Initially, Hiro’s emotions control his decision making, but he eventually makes the right decisions and is redeemed by his later actions. For teenage boys, this may have a particularly solid impact. The film is rated PG for action, rude humor, and thematic elements. But, I found it to be positively enjoyable. And, it is about time that Disney put something out that boys and young men could enjoy seeing. I applaud Disney for answering the challenge of creating characters that appeal to the male gender of human beings! Bravo! 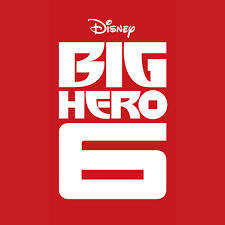 Author threestrandswdwPosted on 11/08/2014 Categories Walt Disney Animation StudiosTags Big Hero 6Leave a comment on Hero Is A Hero!